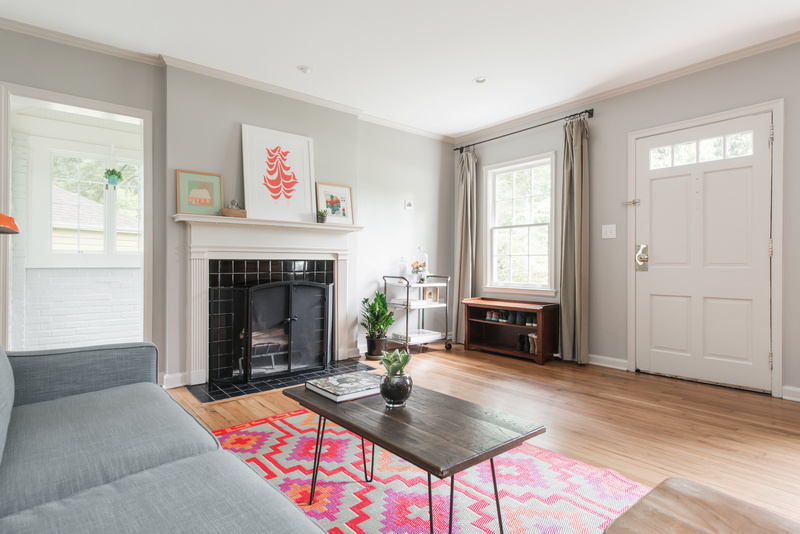 Located in the quietest corner of one of Atlanta’s most tranquil “borrow a cup of sugar” neighborhoods, 107 Mimosa Place combines simple-but-stunning interiors and copious outdoor space with friendly mid-century charm in that ideal “3-bed, 2.5-bath” zone. Trying to buy just the right home in Intown is a challenge. Downright frustrating in many cases. Those reports of over a "thousand people a month" moving Intown are true, and housing inventory is at an all-time low. Many buyers are left with the feeling they will have to snap up almost anything that pops up or be left behind. If you've had the discipline to wait for the ideal home to appear, your patience may be rewarded here. The address is 107 Mimosa Place, Decatur GA 30030. Recently remodeled Cottage in an astonishing location. 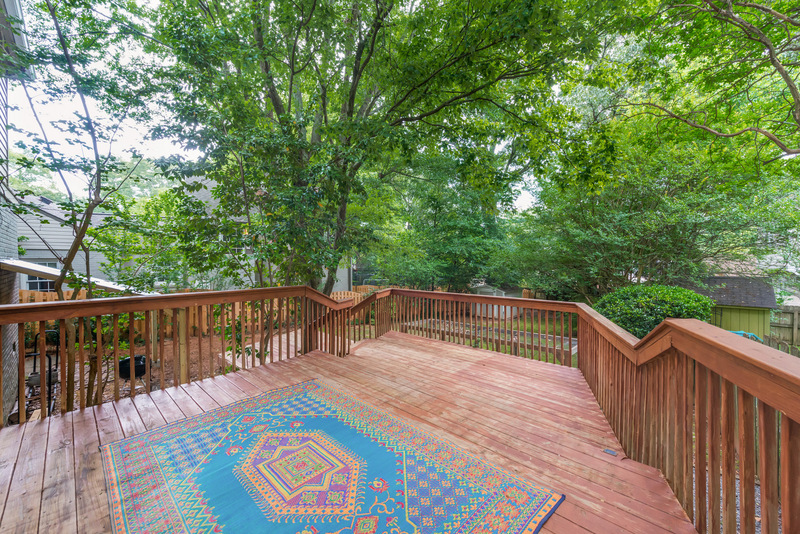 Winnona Park is one of Atlanta’s smaller neighborhoods, to the point where, if you’re relatively new to the area and are only beginning your home hunting, it might be pretty easy to overlook completely. And that would be a shame, as this part of the city is known for its laid-back curb appeal and the fierce pride the locals have for their slice of town. Close enough to "Decatur Square" to be within walking distance (the restaurants are incredible, and the calendar is filled with social events and festivals), Winnona Park is also one of the region’s most sought-after academic hubs. Agnes Scott College and Columbia Theological Seminary lend a youthful, sophisticated vibe to the area without descending into the unpredictable bustle associated with the typical idea of “college town,” and the K-12 education system is arguably second-to-none. There’s a reason the property taxes in this area of the metro are high — all that cash gets pumped back into exceptional schools. But let’s focus on the house itself — a lovingly maintained two-story structure that blends seamlessly into a wooded setting, just off a quiet side street. For the current owner, this was a best-of-all-worlds scenario, where the safety of a tight-knit, observant neighborhood with low traffic equaled stress-free freedom of play for his daughter and her friends from a few houses down. Inside, an even spacing of windows from room to room brings in an abundance of sunlight that plays charmingly off the hardwood floors and soothing slate tone of the walls. From there, the aesthetic similarity shifts as visitors walk through: a charming living room welcomes guests through the front door; a brick-foundation’ed sunroom provides an area for respite that overlooks the lush greenery outside through three banks of windows (you’ll have a blast furnishing this room — we’d recommend “Hemingway in a forest” as an inspiration point); a home office, located on the ground floor opposite the oversized master bedroom, serves as a dedicated space to get some work knocked out, or to just settle in to crack open a book. 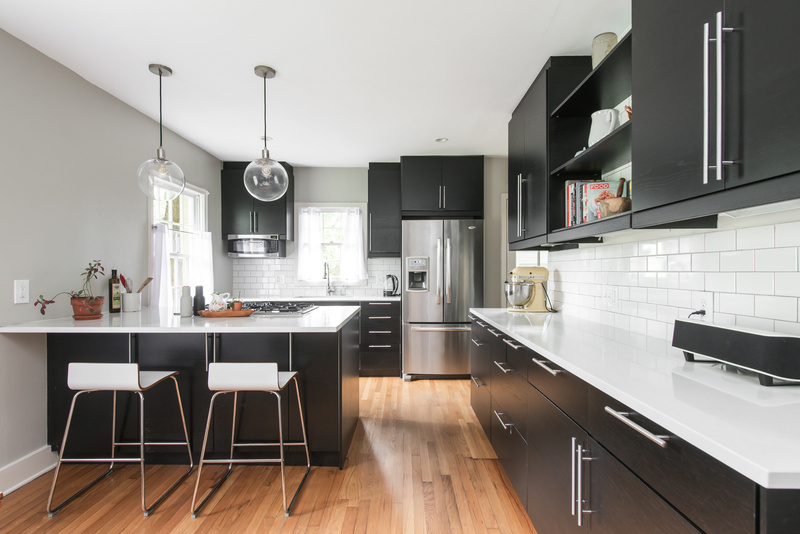 But if every home has a statement space, it would be hard to not apply that title to the kitchen. Black-stained quiet-close modern cabinetry (the owner notes how unexpectedly necessary such a feature is), combined with a full-length white subway tile backsplash serves to open up the space even more, while a peninsula-style island adds to a square footage of counter-space that provides more than enough prep area to host a neighborhood soiree. Outside: a place to play and entertain. Speaking of parties, the outdoor space — we’ve got to talk about that for a moment. The cedar-tinted, multi-tiered deck out back has been built around the natural elements and winds lazily into a sizable backyard, theoretically accommodating dozens, if everyone decides to bring a friend or four. The yard itself is a still a blank slate… there’s a shed out back for storage, and plenty of green within the borders of the wooden fence, so with a little imagination, it’s easily customizable to a family’s specific needs (if we can offer a recommendation, we think an oasis patio would fit the bill perfectly. Some sort of fire pit, maybe?). 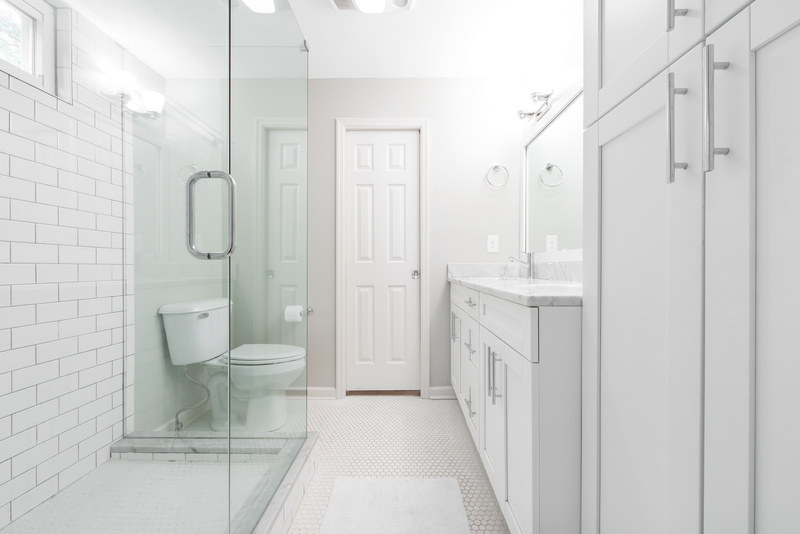 Upstairs, two more bedrooms are anchored by a modern full bath. Scattered around this floor, several designated storage areas lend the space necessary to keep your clothes, and a neatly-hidden laundry space conceals yet another closet, just large enough to store boxes of holiday decorations and winter clothes. And did we mention the closet off the master bedroom downstairs? It’s huge — like, “bigger than your first apartment in college” huge. The first time we walked through 107 Mimosa Place, we felt the tranquility of the place in spades. This was owing in part to the surroundings of one of Atlanta’s most unassuming but undeniably elegant neighborhoods, but it was thanks, in large part, to the home itself. There’s something about this address that feels… right. Everything is where it should be; it flows well; it’s simple without being boring, and carries a sense of authenticity that doesn’t get burdened by pretense. In other words, like Winnona Park itself, it’s pretty easy to fall in love with.